Nishijin brocade is a traditional art associated with Kyoto. The secret behind its radiant luster is gold and silver thread made by OIKE. Since the company’s founding, we have played a role in helping to support the time-honored cultural industries of Japan. Our metallic yarn products include Soft Metallic Yarn, which is soft and lightweight, and the sublimely elegant Soft Magai (Silver). 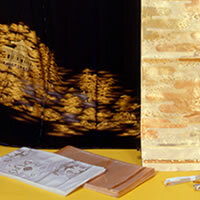 We also produce gold and platinum thread by vapor depositing genuine precious metals onto a fiber core. Our line of functional metallic yarn products offer features such as lightness, flame resistance, and antibacterial properties. They have applications in a wide range of fields, including fabric and accessories for Japanese and western fashions as well as materials used in interior design. 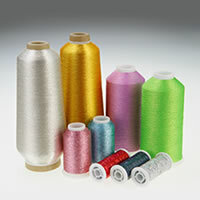 We produce an extensive array of brilliant fancy metallic yarn products suitable for applications including knits, woven fabrics, and embroidery. Our ornamental gold and platinum thread is indispensable in the production of the most dazzling and magnificent of traditional Japanese fabrics. 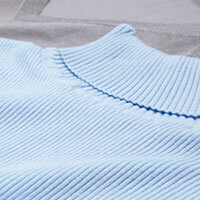 In addition to offering beauty, our functional slit yarn products meet a broad range of market needs.